Have 3 Million? You can buy your own supervillain starter lair. No, this isn't a model shot. 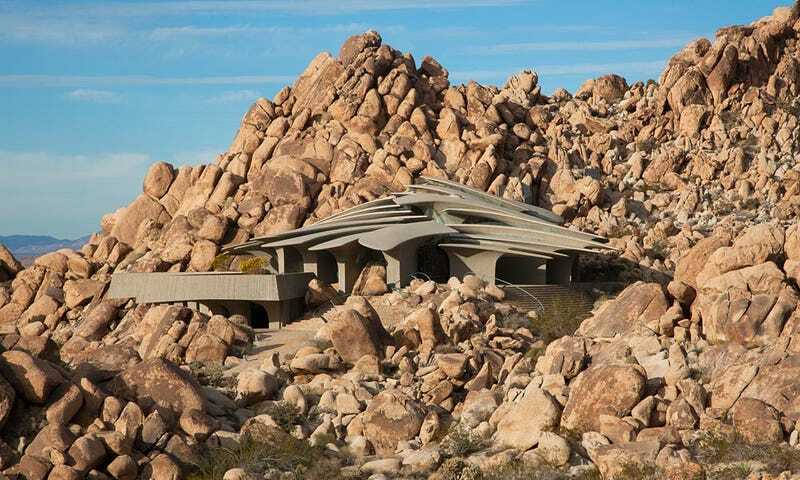 It's a real honest-to-goodness crazy rich person house in Joshua Tree which is now on sale for a mere 3 million dollars. No word on whether it comes with it's own acid pit, slow-moving spike walls, or laser dissection table, but if you've got 3 mil laying around from your last crime spree, you can probably afford a fixer-upper.